Detecto's low-profile D series price computing scales offer up to 99 easy-to-add PLUs for fast reference (14 direct quick keys and 85 indirect PLUs). The D series displays Weight, Unit Price, and Total Price on the front and rear backlit LCDs (up to six 0.5-in/13-mm high digits) for both the operator and customer to view simultaneously. We hope you'll strongly consider the Detecto D Series Price Computing Scale. 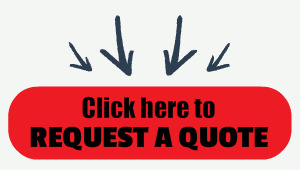 We realize that you have choices when it comes to purchasing legal for trade scales can can compute price per pound. One of the under appreciated factors to consider in this competitive market is the actual scale manufacturer. Cardinal Scale Manufacturing has a reputation throughout the scale industry for their high quality weighing equipment. Over the years we've seen how important it is to offer products from reputable scale manufacturers who actually support the products. The D Series scales have an easy to read weight display and easy to use Price Look Up (PLU) buttons right on the front of the scale. The scale has several different capacity choices as well. Detecto low-profile D series price computing scales, available from Central Carolina Scale, offer up to 99 easy-to-add PLUs for fast reference (14 direct quick keys and 85 indirect PLUs). The D series displays Weight, Unit Price, and Total Price on the front and rear backlit LCDs (up to six 0.5-in/13-mm high digits) for both the operator and customer to view simultaneously. The D series replaces the obsolete DS series product line. Additionally, the D series offers some exciting new features to provide you with even more retail efficiency, such as 99 PLUs and up to six digits on the LCD display for Unit Price and Total Price. The NTEP legal-for-trade scale's Pre-Pack key saves time by retaining the Unit Price and Tare for repetitive price computing, making the operator's job even faster. Adjustable, nonskid feet and internal bubble level ensure steady and accurate weighing, plus a beep provides audible confirmation of key presses. 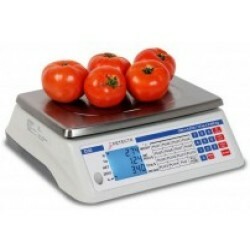 Weighing capacities range from 15 lb x 0.005 lb / 6 kg x 0.002 kg up to 60 lb x 0.02 lb / 30 kg x 0.01 kg. The high-grade, molded polymer enclosure with color-coded sealed membrane keypad and lift-off, wash-down stainless steel platform make cleaning easy. 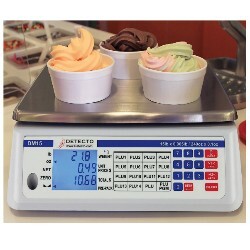 Ideal for retail frozen yogurt, ice cream, coffee beans, nuts, and candy stores, DETECTO’s DM15 price computing scale features a unique 240 ounce capacity by 0.1 ounce accuracy (15 lb x 0.005 lb). The DM15 scale offers up to 99 easy-to-add PLUs for fast reference (14 direct quick keys and 85 indirect PLUs) and displays Weight, Unit Price, and Total Price on the front and rear backlit LCDs (up to six 0.5-in/13-mm high digits) for both the operator and customer to view simultaneously.